Another difficult ancestor. 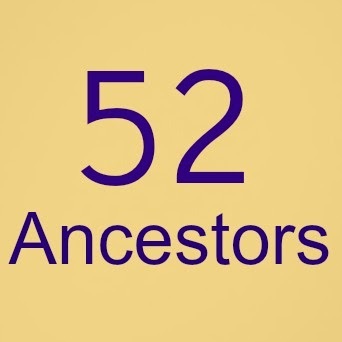 I wanted to do my 52 Ancestors project with some of my more obscure people. My hope is that in writing it out and publishing it I will a) see something new, b) someone will come forward with a new bit of information. Let me tell you what I know of my third great grandmother Margaret Roberts Bass. Margaret Roberts was born on April 1, 1803 (according to her headstone) in Kentucky. To UNK parents. She 'disappears' for her entire childhood. She appears to have gotten married to William L. Bass 3 July 1823 in Boone KY. The record index lists her name as Peggy. I have not yet been able to obtain this marriage document. The couple then disappears for 23 years. The next sighting is in 1856 in Mahaska Co, Iowa. They are listed in the Iowa State Census. They have five children by this time. two daughters and three sons, my second great grandmother among them. The children range in age from 19 to 11 and all are recorded as being born in Iowa. There are some notes my grandmother the Genealogy Queen had in her Big Box of Stuff that says the Bass family moved to Bartholomew Co, Indiana but no date is given. They went on to Van Buren Co, Iowa in 1843, and then to Mahaska Co, Iowa in 1845. The notes were dated 1950 and I have no idea where she obtained the information. Margaret and William were said to have 8 children, according to William's obituary, and were members of the Brethren church. I have found no obituary for Margaret. Margaret Roberts Bass lived the remainder of her years in Mahaska Co, Iowa. She died on 2 Nov 1883 and is buried in the Wymore Cemetery with her husband William. There is so much more to this story that I have yet to find out. Who were Margaret's parents? Why did they move to Indiana, and then to Iowa? Where are the other three children? With more and more resources being published on the internet every day I hope that it will only be a matter of time before I can get a few of these questions answered. But until then, Margaret is keeping true to her birth date by being a long standing April Fool's puzzle for me! I do not know if this will help or if it is correct but have some Bass info. The William L Bass could be William Leonard Bass b: 8 Jan, 1802 Barron Co., KY. son of Nathan R Bass and Ruhama Price. There is a gravestone for William L and Margaret Roberts Bass in wymore Cemetery, Rose Hill, Mahaska Co., Iowa. She was born 1 April 1803, d. 2 Nov 1883. I have a family book that has them married 3 July 1824 in Kentucky. Your info is correct, except the marriage date was 1823, the image is now available on FamilySearch. I am stuck on Margaret actually. Who were her parents? Did she have siblings? Thanks for taking the time to read my blog and share your info!